Most of us have heard of Canine Parvovirus. However, few people could tell you exactly what it is, what are the symptoms, the treatment and the implications for a dog. This article sets out to answer those questions. What Is Canine Parvovirus or Parvo? The Parvovirus CPV2 was discovered in 1978. Since then it has spread around the world. However, the United States has one of the highest rates of incidence. This may be due to the rise of puppy mills throughout the 1980s and 1990s. Many breeders in the United States did not provide the proper vaccinations for their breeding dogs or puppies. The battle to contain this highly contagious virus continues in the United States. 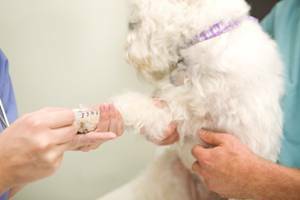 Can Parvovirus Be Spread From Dogs To Cats? While the canine parvovirus is similar to feline panleukopenia, which is also caused by a parvovirus, the virus is not transmitted from cats to dogs or dogs to cats. It is believed the canine virus may be a mutation of the feline one. It is important to mention neither of the viruses is transmitted to humans although a type of parvovirus (B19) is responsible for Fifth disease in humans. The illness is one of the top five diseases that afflict children. B19 can also cause serious damage to the fetus if the expecting mother has a parvo infection. CPV2 is usually fatal for puppies. However, if the infection is discovered in the early stages a puppy can survive under the care of a veterinarian. Adult dogs can be infected although they may never show signs or symptoms. The mortality rate in adult dogs is not significant when compared to the mortality rate of puppies. The virus is spread by direct or indirect contact with canine feces. The CPV2 virus may present in two different forms, intestinal or cardiac. Infection of intestinal CPV2 occurs through oral contact with the virus in feces or infected soil. Once ingested, the virus will replicate in the tissue in the throat. It will eventually spread into the bloodstream. The virus attacks the cells in the intestinal crypts, bone marrow, and lymph nodes. The destruction and necrosis of the intestinal crypts allows anaerobic bacteria that live in the intestines, to enter the blood stream causing sepsis. This may lead to Systemic Inflammatory Response Syndrome (SIRS). If the host is infected with worms or other intestinal parasites, an intestinal parvo infection can cause death. Cardiac parvo is less common in adult dogs. Puppies are usually exposed to the virus in the uterus or after birth. Tragically, the virus attacks the heart muscles and puppies will die suddenly. 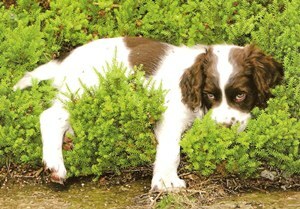 It is possible for a puppy to develop both forms of parvo. However, in the United States, the incidence of cardiac parvo has decreased significantly due to required vaccination of breeding dogs and their puppies. In many cases, if a puppy is exposed to the virus in the uterus, the puppy may be afflicted with neurological abnormalities when born. If your pet experiences any of these symptoms, it is crucial that you seek veterinarian care immediately. Most adult dogs will survive a parvo infection. However, after treatment a dog may be contagious for up to six weeks after treatment and vaccination. 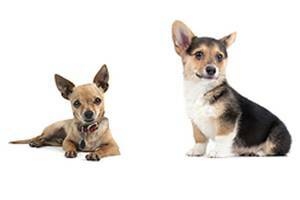 If you have other dogs in the home, it is important they be vaccinated as well. In addition, it is important to disinfect the home. Bleach is the only household disinfectant known to kill the parvovirus. The success of the treatment will depend on the age of the animal and how quickly the diagnosis is obtained. The treatment for parvo is costly since most pets must be hospitalized due to the severe dehydration and intestinal damage. In severe cases, a blood plasma transfusion may be required. The treatment is aggressive and includes antibiotics, IV fluids, and antinausea injections. The survival rate with treatment is 80 percent. The mortality rate of canines that do not receive treatment is 91 percent. Parvo cases have dropped significantly in the United States. However, for dogs that are not vaccinated the risk of infection is high. Unfortunately, many people still do not provide veterinarian care for their pets and this includes vaccinations. To prevent the virus from spreading, it is important to have your pet properly vaccinated. Puppies require a series of three vaccinations that are at least four weeks apart. The cost of vaccination is little compared to the cost of treatment for an infected pet. Canine Parvovirus spreads quickly, and you do not want your pet at risk for an infection.